Provide comfort for the family of Brian Strein with a meaningful gesture of sympathy. Brian Lee Strein, 45, passed away on Sunday, March 24, 2019. Celebration of Brian's Life will be held at Jambos Original BBQ Shack, 5460 E FM 1187, Burleson, Texas 76028 this Sunday, March 31 at 1:00 PM. He leaves to cherish his memory, Father, Waldo Strein; Mother, Sandy Strein; step-mother, Barbie Strein; daughter, Brooke Seigel; son, Mason Strein; sister, Kimberli Broome; brother-in-law, Russell Broome; nieces and nephews, Lexi Solis, Kayla Broome and Alex Broome along with numerous other loving family and friends. 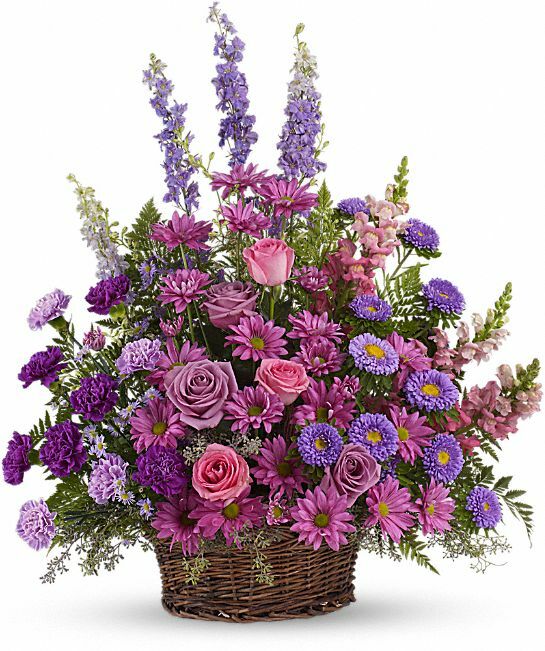 To send flowers in memory of Brian Lee Strein, please visit our Heartfelt Sympathies Store. Pastors Courtney and Jason McKay sent flowers to the family of Brian Lee Strein. We are so sorry for your loss. We love you very much! Pastors Courtney and Jason McKay purchased the Gracious Lavender Basket for the family of Brian Strein. He will be missed Suzan A.
Brian, God needed you more than we all did. I would imagine right about now you are walking, running and jumping with your new legs. You earned your wings and then some. I know you are gonna look after your kiddos with fervor. Until we meet again, you'll be missed my friend!